- because the soil in there area is very bad. - it is necessary for houseplants. - it is a great solution for gardeners with limited spaces. - you can use containers as a decoration in the garden (there a lots of different designs). - no more problems with weed, etc. Actually, we can only think about good when thinking of container gardening, if you have a disadvantage with container gardening: let us know! Containers ranging from simple plastic pots to pots with a watering system. They must allow drainage, so the bulbs can breathe. Most bulbs will rot when they have wet feet. It looks a lot like growing bulbs in the ground. You can grow any bulb in containers, and mix with colors to! Decide if you want to grow your bulbs indoor or outdoor. 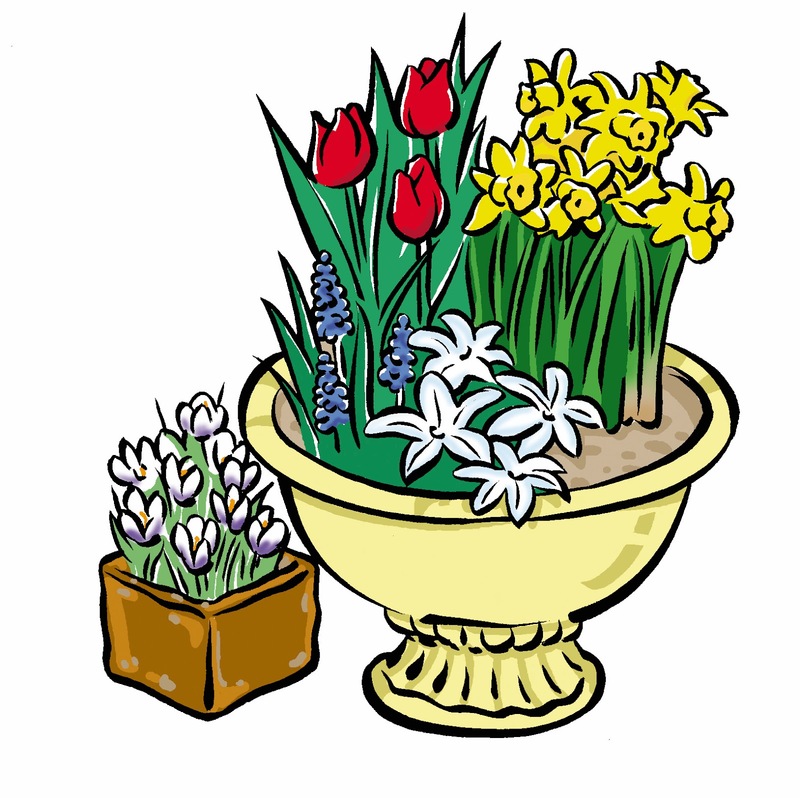 Fill your container with the proper soil especially for your selected flower bulbs. Plant your bulbs as deeply as you would do in the ground. 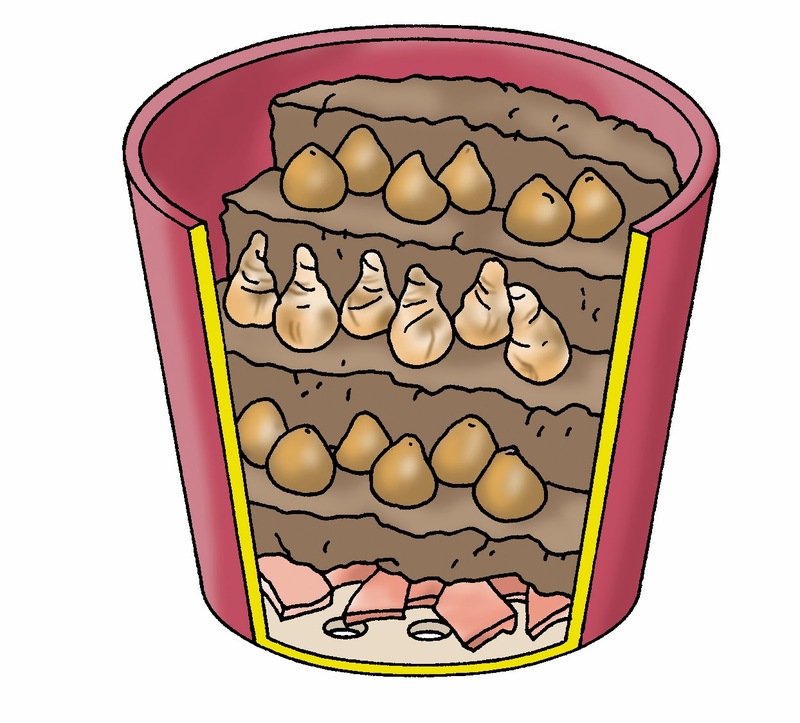 * Plant the bulbs which will grow as last, in the deepest layer. Plant the bulbs which will grow first, in the first layer. If you use this method, you will always have flowers in your container! * Use a broken terracotta pot and layer it on the bottom of your container. This way, the water will slower flowing away. Or when you have a big pot: use the broken terracotta pot on the bottom and you will need less soil for your container! 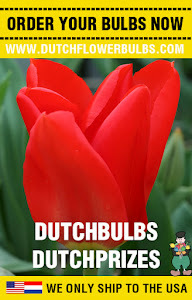 Thanks for reading this article, if you have any questions: email them to info@dutchflowerbulbs.com.